In the third part of ‘DU Mandate’ analysis series, we look at electoral possibilities – best prime ministerial candidate, who’s likely to win, and so on. However, from personalities like Indira Gandhi to Narendra Modi, governmental power has become synonymous with the prime minister, contrary to the principle of collective responsibility in a parliamentary democracy. Not only has this been perpetuated by the parties through their campaigns, but also by much of the media projecting the upcoming elections as a ‘Modi vs Who’ battle. The emphasis is placed on a single alternative as a challenger to the incumbent Prime Minister. Hence, it was reasonable to ask who the best prime ministerial candidate currently was in the public’s opinion. Mr Modi was considered the best PM candidate by nearly half of the respondents. As it turned out, Mr Modi was considered the top choice by 49.3 percent, while Rahul Gandhi was voted the best candidate by 11.8 percent respondents. However, interestingly, Priyanka Gandhi – whose role within the Congress has been confined largely to East UP – was considered a better candidate than Mr Gandhi, with 13.3 percent votes. All other opposition leaders drew single digit votes. As shown in a previous article, 75.2 percent respondents were of the opinion that the lack of a single direct challenger to Mr Modi would do ‘average’ to ‘unbearable’ harm to the opposition. Even though a majority believed Mr Modi was the best candidate from the NDA, among those who felt otherwise, a good portion voted for Mr Gadkari. When asked that whether there should be a non-Modi Prime Minister if the NDA retained power, 54.4 percent responded with ‘no’, 21.7 percent said ‘yes’, while the remaining voted ‘can’t say’. Among those who voted ‘yes’, a majority voted for the current Road Transport and Highways Minister Nitin Gadkari as an alternate candidate. Mr Gadkari had come into the limelight due to his closeness to the RSS and for some of his remarks about the party, which had been perceived as being aimed at the Modi-Shah duo. However, as the support for Mr Modi remained higher than any other leader, so did the possibility of his government coming back to power. When asked how likely it was for the NDA to win the 2019 elections, 40.4 percent said that it was ‘quite likely’ – or 4 on a scale of 5. 22.4 percent voted for a likelihood of 5 out of 5, that is, ‘highly likely’. On the other hand, it was considered ‘not very likely’ by 29.8 percent respondents that the opposition parties would be able to form a stable government completing a full term. 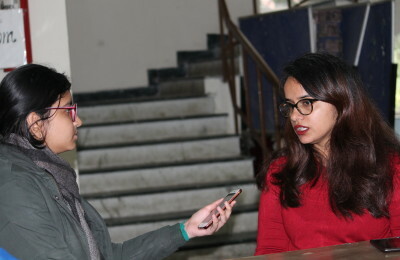 The question was asked in light of the allegations of the BJP that the opposition alliances would form an “unstable” government if voted to power. Genuine apprehensions regarding the solidarity among opposition parties also existed, as shown by uncertainties among themselves and historical record. However, as also mentioned in the question as a note, large coalitions like the NDA in 1999-2004 had been able to successfully complete their full term as well. The likelihood of NDA’s retention was rated 4 out of 5 by majority of respondents. Yet, 21.7 percent said that running a stable government was ‘not likely at all’, while 31 percent selected ‘can’t say’ – corresponding to ratings of 2 and 3 out of 5 respectively. While the NDA, and especially the BJP with Mr Modi, seem to be fairly ahead in the race at the moment, a closer inspection perhaps throws light on the failures of the opposition in the campaigns running up to the elections. The opposition, has not been able to position themselves as a solid alternative and only been playing into the hands of the BJP. Despite putting forth an arguably better manifesto than the BJP, the Congress and other opposition parties perhaps haven’t been able to outmanoeuvre the former politically. Even after a mediocre performance, to say the least, the BJP has been able to construct the upcoming elections as one about nationalism, security and Mr Modi, seemingly having a slight edge as of now.